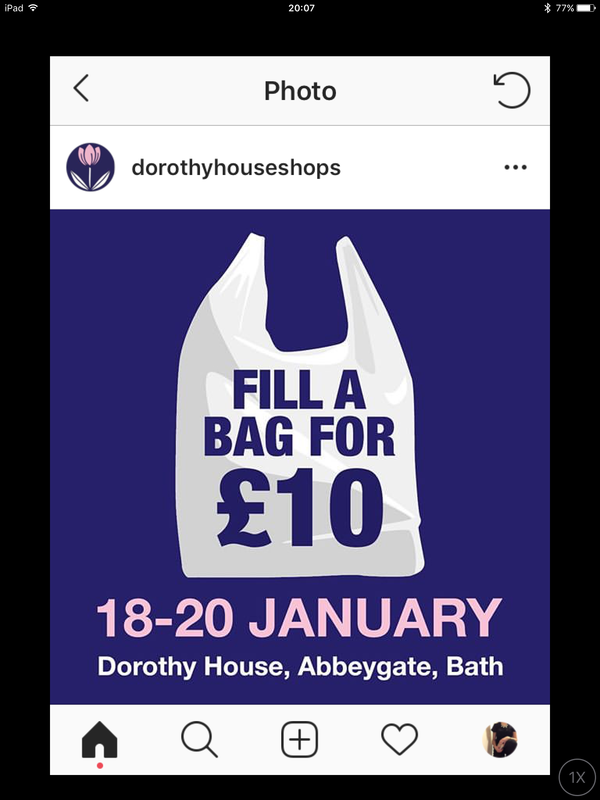 While I am trying to be more disciplined about buying new (to me) clothes I just couldn’t resist the ‘Fill your bag for a Tenner’ promotion at Dorothy House charity shop last month. 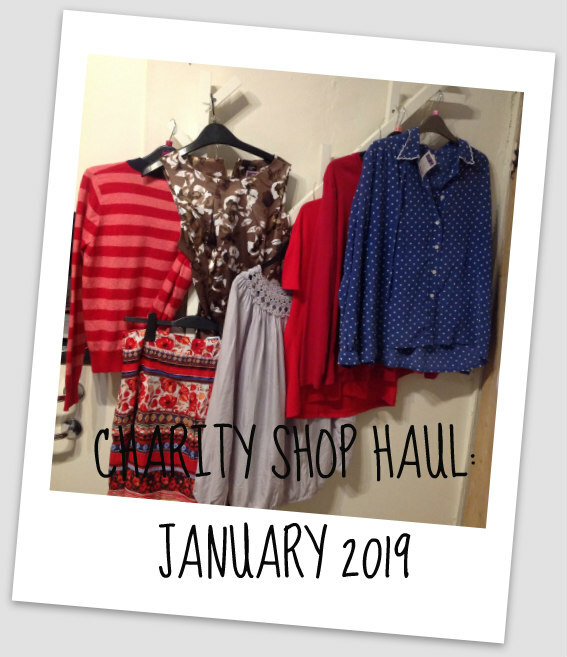 This is the closest charity shop to where I work and a couple of my colleagues had already sneaked in and bagged some amazing bargains (including a brand new Anthropologie dress!!). So I thought it would be rude not to have a browse on my lunch break…. However I did stick to buying those items that can be worn in the Spring and Summer, rather than just adding to my winter wardrobe. 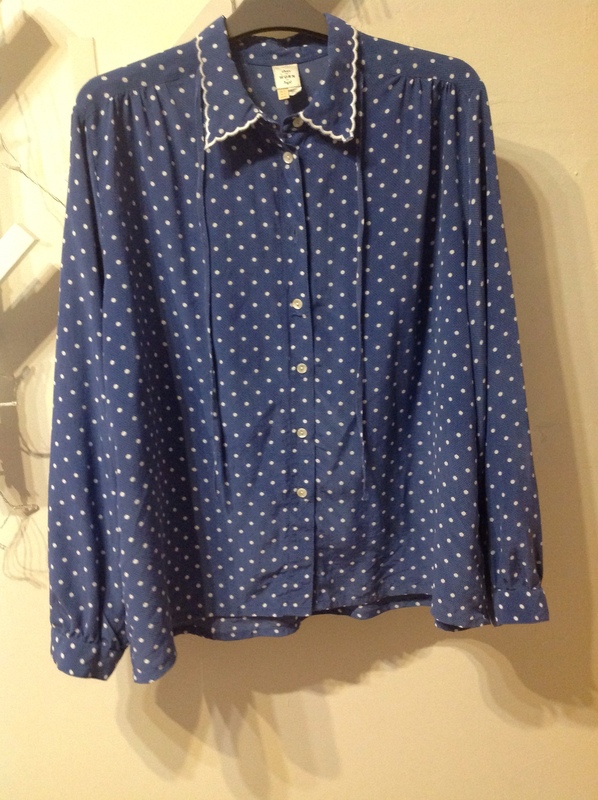 The blouse is originally from BonMarche and a size 16 – both of which I wouldn’t normally try. However the beauty of charity shops is that you come across labels you would never normally consider (see my Country Casuals 1950s style dress here from December). And I have learnt over the years to look beyond my normal sizing. 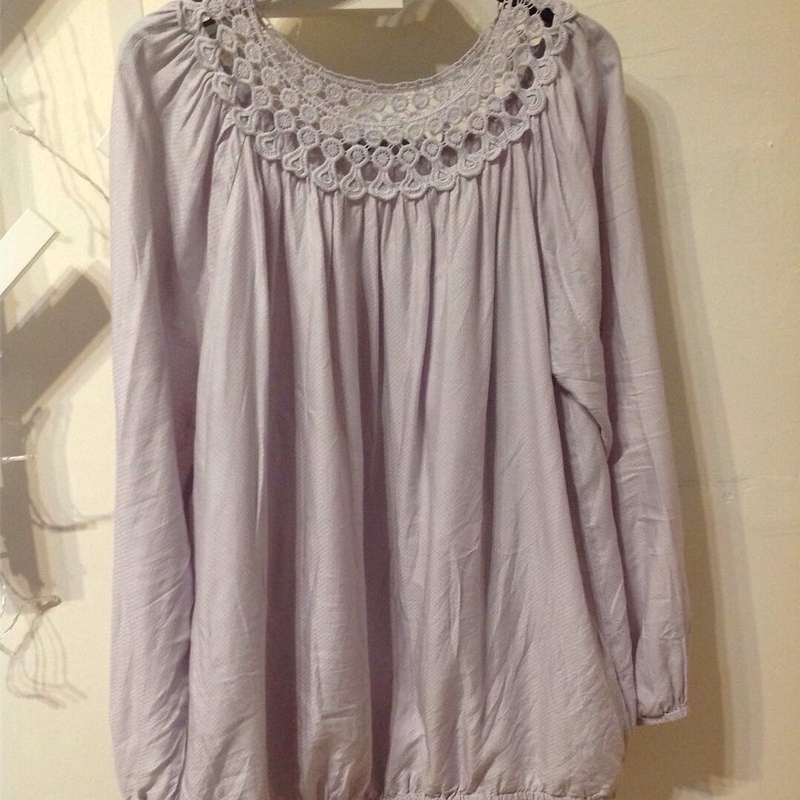 Anyway the blouse fits really well as an oversize top perfect for hot summer days (remember them?) and a cover up on the beach. The dress is from Tesco and, as with the blouse above, will be great for the summer, especially at work. 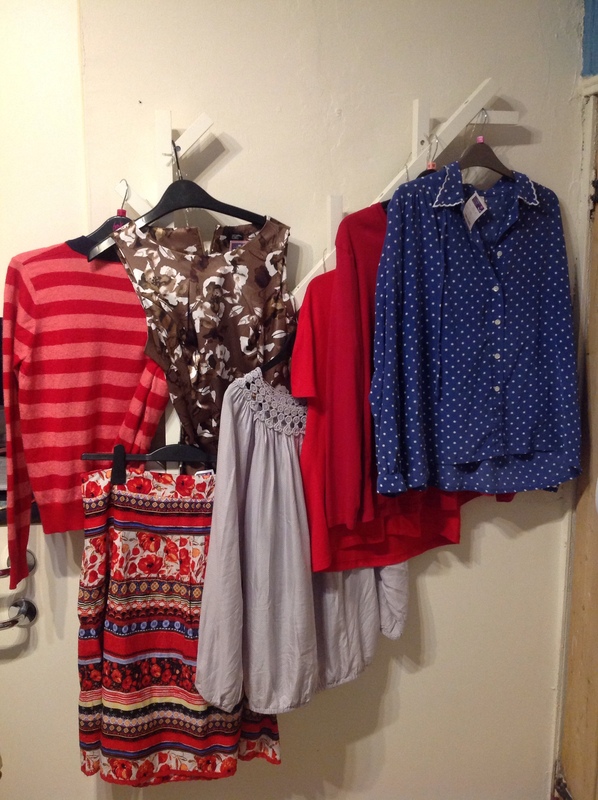 Finally, the two red tops have come in very useful as they have extended the colour palette in my wardrobe. The long sleeved top (not shown) is actually a size 20 but works well underneath layers. 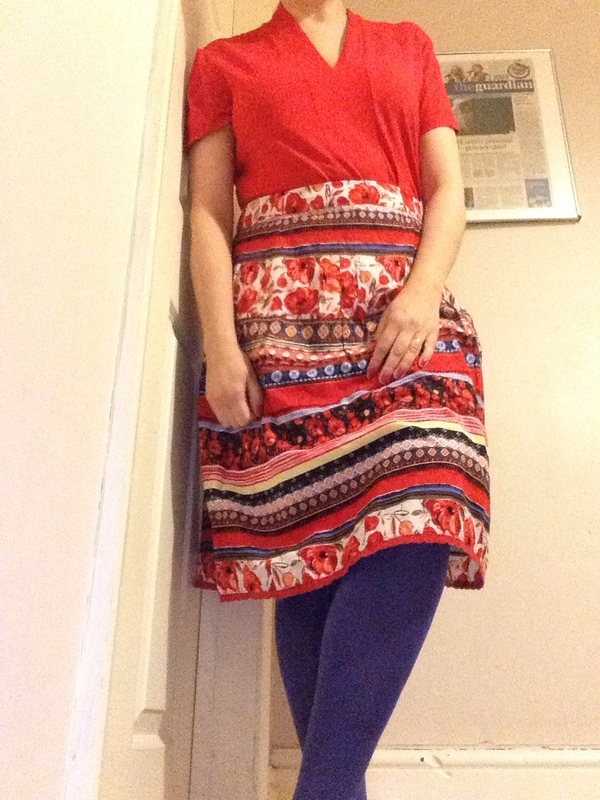 The red t-shirt and skirt below work very well together. I don’t normally buy skirts as they do not flatter my waist, but I couldn’t resist the pattern. 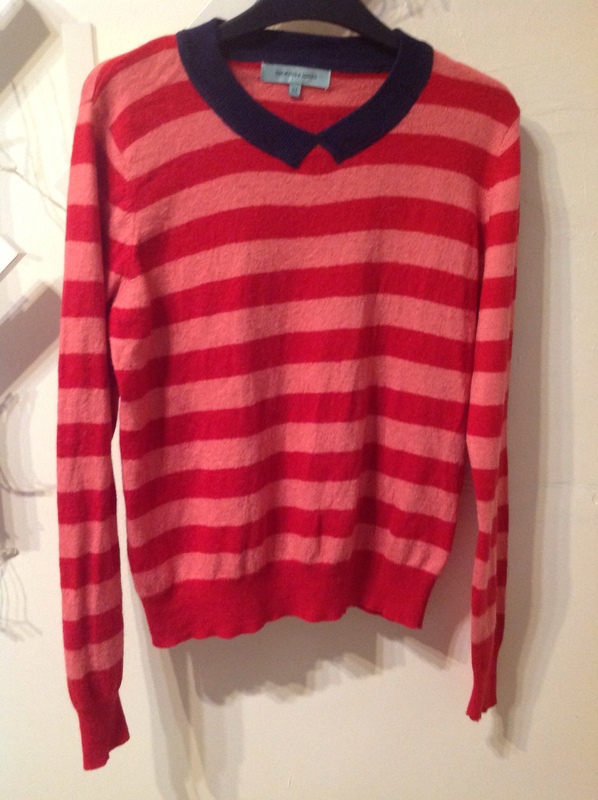 I’m really looking forward to wearing it in the warmer months!